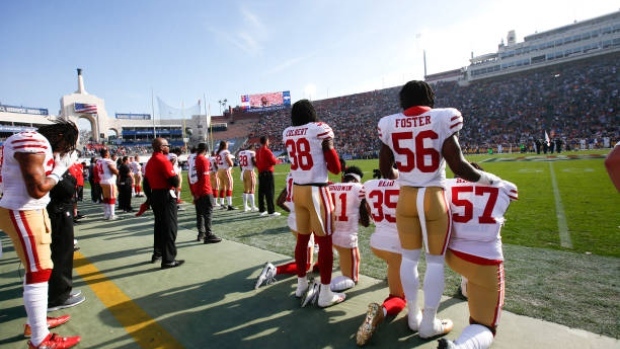 ATLANTA — NFL owners approved a new policy Wednesday aimed at quelling the firestorm over national anthem protests sparked by Colin Kaepernick and polarized by President Trump, permitting players to stay in the locker room during the "The Star-Spangled Banner" but requiring them to stand if they come to the field. "If we want to be sacrosanct, if we want to honour the flag, we've got to make sure we go through a litany of things," he said. "We're not going to force people to stand in their seats, but we're certainly going to make sure we're not profiting during that two or three minutes of time during the game."